One of the most essential – yet expensive – items you need is a laptop, so a discount or a special offer can help no end. That's why we've updated this list of the best cheap laptop deals for creatives to bring you the latest deals in time for Christmas. (for more bargains, check out our roundup of the best Black Friday and Cyber Monday deals). Having the right laptop for you can make the difference between pain-free, powerful processing and a sluggish machine that takes an eon to upload your images. 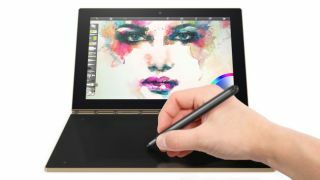 An easy to use touchpad will help you create eye-catching illustrations, while a dazzling display will show off your creations in their full glory. We also dispel the myth that a cheap laptop is a synonym for a bad laptop: as well as the very best laptop deals on the market now, we've highlighted competent computers that you can buy on a budget all year round on the next page. A disclaimer before we start: the list of laptop deals below may contain some Chromebooks (laptops that have no software besides Chrome, relying instead on the G Suite of apps and browser-based tools). We know that Chromebooks will be no good for graphic designers needing Photoshop or 3D artists needing to render models, but they have their place as a cheap second machine for composing emails, invoicing and other less intensive tasks. For our Best laptops for graphic design buying guide, we tested all manner of machine to bring you our top six. Our price finder tool below scours the web every day to bring you the best deals on these excellent computers for graphic designers. Our article on The 5 best laptops for photo editing explains why we love these powerful laptops for cutting video projects. Check out the best prices that our deal checker tool has found today. We know that Photoshop is a tool that demands respect, and part of that is having the right machine to run it on. These 5 best laptops for Photoshop are tried and tested – check below for today's best prices. Our article on The 5 best laptops for video editing explains why we love these powerful laptops for cutting video projects. Check out the best prices that our deal checker tool has found today. Save $923.14 - This is an incredible saving on the phenomenal HP ZBook Studio G3 Mobile Workstation. It comes with Intel Core i5 processor, 8 GB memory and 512 GB Z Turbo SSD storage - and it looks amazing, too. We recommend the optional stunning HP DreamColor UHD display. See this brilliant deal now. Save $914.19 - This is a massive saving on HP’s lower-specced ZBook Studio G4 Mobile Workstation. It comes with an Intel Core i5 processor, 8GB memory and 512 GB Z Turbo SSD storage. As always, we recommend creatives choose the HP DreamColor UHD display. See this excellent deal while it lasts. Save $122 - You can also make a solid saving on the faster specced Zbook Studio G4. This model comes with an Intel Core i7 processor and 8 GB memory – but less SSD storage, at 256 GB. Again, make sure you choose the stunning HP DreamColor UHD display. Save $122 now. One of the cheapest 15.6-inch Windows 10 laptops we've ever seen. Packing a quad-core Intel Pentium processor alongside 500GB of spinning storage and 4GB of RAM, it has more power than we'd dared to hope for at this price. If you need a cheap, portable notebook for research, admin and taking notes in briefings, then you could do much worse than this Chromebook with 4GB memory and 16GB flash storage. It's a very attractively discounted 16% off on NewEgg. Another 15-inch laptop for less than $300. These don't come around often usually, so if it's a large-screened resident of your desktop that you need, and you can't spend a fortune, then try this Lenovo. It packs an Intel Pentium processor, 1TB HD, 6GB DDR4, Windows 10 and Intel HD Graphics 510. HP has issued a 17.3-inch laptop, with an Intel Core i3 processor, 8GB of RAM and a 1TB hard drive behind an HD+ display at $120 off its list price at Staples. That brings it down to less than $500, which is almost unheard of for a machine this large. The latest MacBook Pro wins our praise thanks to the remarkable power, immaculate Retina display and vast trackpad. It's an obvious choice for most designers. If you don't mind opting for a refurbished model (which will be good as new anyway), this is a brilliant deal on 12-inch 2016 MacBook. Asus' ultra-thin laptops are known for being powerful and gorgeous, and this is a great price for an Ultrabook. This one, with £100.99 off at Currys, has an Intel Core i7 processor, 8GB RAM, 512GB SSD and Nvidia Geforce 940MX. We loved the Surface Pro when we reviewed it for creatives, so we're delighted by this £274 discount from Microsoft. This bundle includes the 128GB machine, a black type cover and a 3-month free trial of the Adobe Creative Cloud Photography plan thrown in. If you're worried that the model above isn't quite powerful enough for the professional design programs and large file sizes you'll be playing with, this Core i7 processor version comes with 8GB of RAM and a 1TB hard drive. This is a super choice with £43 off at Laptops Direct. This BT Shop Christmas offer saves you £160 off the Intel Core m3 Samsung Galaxy Book. With 4GB of RAM and a 64GB SSD and Windows 10, it has an incredible display and comes with the S Pen stylus. A slightly smaller 14-inch laptop than some of the other deals here, but if you're after a faster hard drive then you could be tempted by the 128GB SSD here. We really like Lenovo's comfortable keyboards, too. Save £300 at Currys. If you like the sound of a Chromebook, but want some extra screen space, then how about this 14-inch Acer model. It's not particularly powerful with 2GB of RAM, but for basic tasks like browsing and document editing you'll be sorted. Aaaaand here's another Chromebook, this time smaller and cheaper. A laptop for basic needs, this 11.6-inch Chromebook comes with a 13-hour battery life, a Rockchip R3288 Processor, 2GB of RAM and 16GB of memory.